We are often asked about bed sizes so we have put together a quick explanation. There are two things to consider when speaking about sizes- that is the width of the bed, and the length. Beds are available in the different widths, in either standard or extra length. For example you can have a King size bed in standard length, which will make it 183cm x 188cm. You could also have a King Size bed in extra length, which will make it 183cm x 200cm. This is possible in all the sizes of beds. It’s all good and well to know what the sizes are, but it helps to know how that translates into practical use. Single and 3/4 beds are best suited to twin rooms, or children’s beds. Most bunkbeds are single sizes. A double bed is a nice size for a teenager or single adult. It gets a little cosy for two people, but it can work if you don’t mind being up close and personal. A queen size bed is ideal for two people. It gives enough room for partners to be comfortable. It is often a good size for a spare room or a small main room. A king size bed gives that extra room for luxury comfort. It is also a great size when little people and pets find their way into one’s bed at night. The extra 21 centimetres really make a difference. The ultimate luxury is that extra 12 centimetres at your feet. A king size bed is basically two single beds together. When you buy a king size bed it will come with two single bases. This makes it much easier to move the bases into your room. Some people choose to have two single mattress joined with mattress converter or topper. This is a layer of foam, much like a fitted sheet, that combines the two mattresses into one. This is a popular choice in guest houses. If you are wanting a 3/4 bed in extra length, it is important to note that these mattresses are made to order. It is not a size that is commonly ordered and therefore few suppliers have them in stock. This means they are available but there will be a lead time for delivery, normally 7 to 10 days. How to choose the size bed that is right for you? When you choose a bed think about who will be sleeping on it. You always want to select the bed that will give the biggest sleeping surface, whilst still fitting comfortably into the room in which you intent to place it. Most shops that sell linen cater for all sizes of beds. If you choose an extra length bed, make sure you buy bedding that is marked extra length. This applies mostly to fitted sheets and base covers or night frills. A duvet cover or flat sheet will fit both an extra length or standard length bed. Some mattresses are very thick. If this is the case look out for linen that has extra depth. 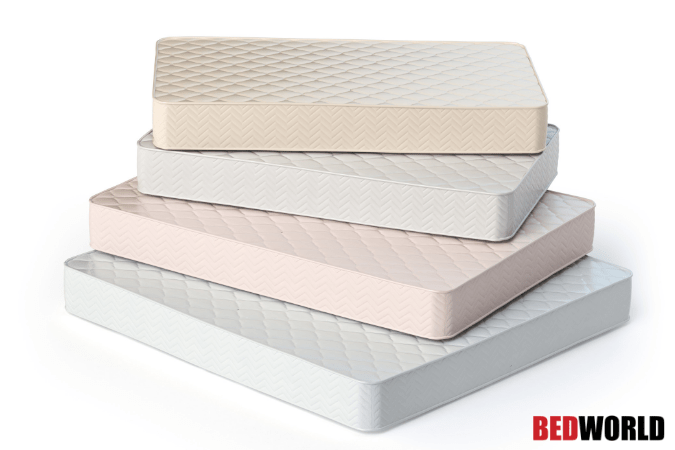 It is possible to have some brands of mattresses made in all sizes as a special order. If you have an unusual size, perhaps a built-in bed or a bespoke bed frame, you can have a mattress made. Speak to one of our consultants about which brands offer this option. It is also possible to get a Super King as a special order. A Super King is 200cm x 200cm. Many stores now offer Super King linen too. If you have any further questions about bed sizes please send us an email so we can assit.